The SETT Framework, by Joy Zabala, a popular consideration framework in the field of assistive technology, a subset of special education, has made a significant impact since its inception in 1995. It has also made a significant impact on me personally as a practitioner. 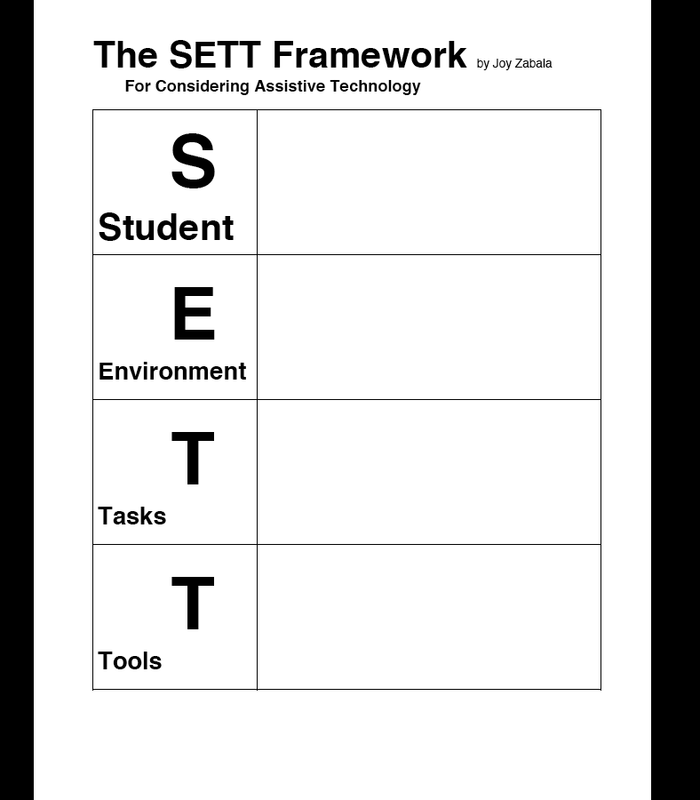 SETT stands for Student, Environment, Task(s), Tools and is meant to help in the assistive technology consideration process. 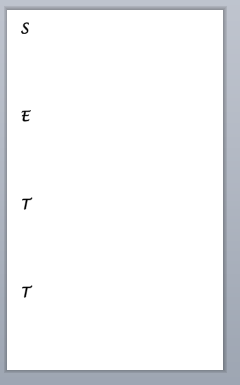 Here are some simple Templates that I have created and find especially useful to provide to teams helping gather information previous to an assistive technology evaluation. This collaborative site is about working together to help people with special needs and is led by Samuel Sennott, who can be reached at sennott@nova.edu . The most prevalent topics are assistive technology, augmentative and alternative communication, inclusion, literacy instruction, the Read/Write Web/ Web 2.0, and universal design for learning.